The Blue Heron Speaks page, where we feature one poet per month, will be on a brief summer vacation for the months of July and August, but we already have 2 fabulous featured poets lined up for September and October! Don’t forget to stop by to check out our June featured poet, Pam Uschuk, and all of the wonderful poet spotlights from previous months. 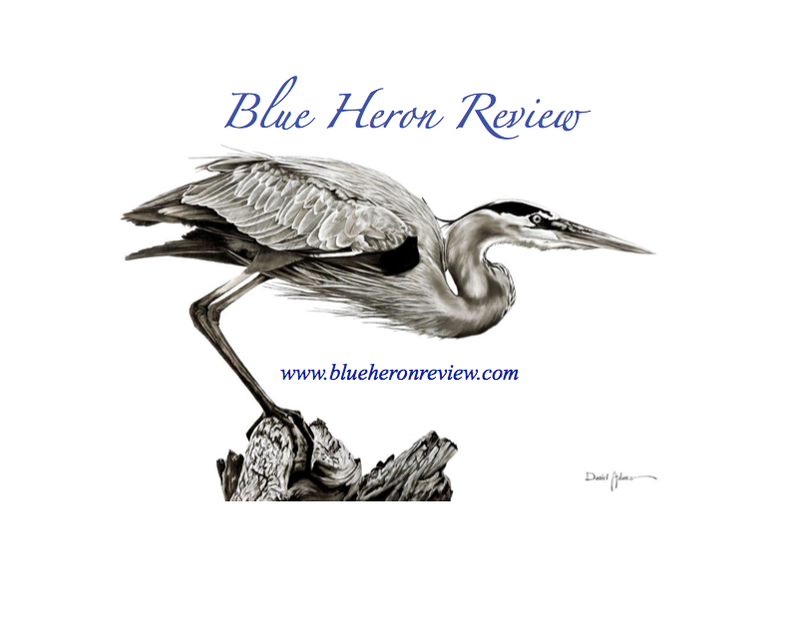 Our SUMMER 2015 Blue Heron Review issue will be launched on our site at the very end of JULY 2015. We have an amazing issue of poetry and photography to share. An announcement will be made on our home page! 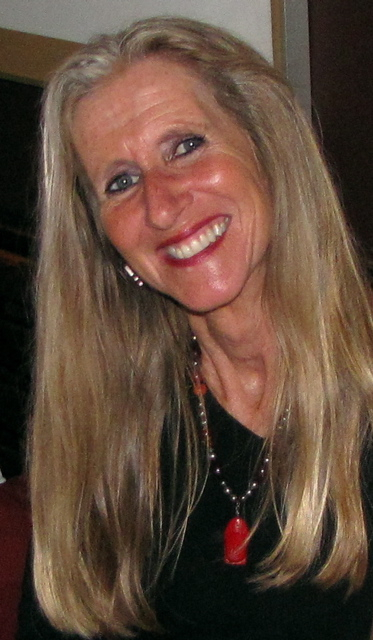 Pam Uschuk is the June 2015 Blue Heron Speaks Featured Poet! Welcome to the Blue Heron Speaks feature for June 2015. This month we are shining a spotlight on the work of poet, Pam Uschuk. 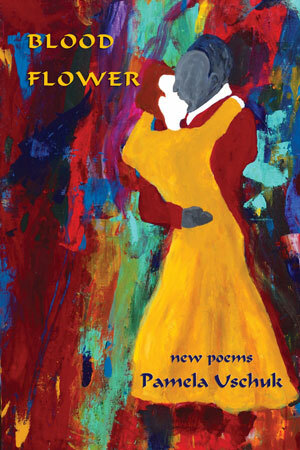 Her latest collection of poetry, Blood Flower, was recently published by Wings Press (2015). Uschuk’s unique voice is both raw and honest, with a deep reverence for the temporal beauty of life. We follow her skillful thread of imagery to the very end of each poem, knowing that every word is chosen with great care. In our feature this month, nature sings to us in memorable ways. Please visit the Blue Heron Speaks page of our site to read two sample poems by Pam Uschuk. Political activist and wilderness advocate, Pam Uschuk has howled out six books of poems, including Crazy Love, winner of a 2010 American Book Award, Finding Peaches In The Desert (Tucson/Pima Literature Award), and Wild In The Plaza of Memory (2012). Her new collection of poems, Blood Flower, appeared in February 2015. Translated into more than a dozen languages, her work appears in over three hundred journals and anthologies worldwide, including Poetry, Ploughshares, Agni Review, Parnassus Review, and Valparaiso Review. Uschuk has been awarded the 2011 War Poetry Prize from Winning Writers, 2010 New Millenium Poetry Prize, 2010 Best of the Web, the Struga International Poetry Prize (for a theme poem), the Dorothy Daniels Writing Award from the National League of American PEN Women, the King’s English Poetry Prize and prizes from Ascent, Iris, and Amnesty International. Associate Professor of Creative Writing at Fort Lewis College and Editor-In-Chief of Cutthroat, A Journal of the Arts, Uschuk lives in Bayfield, Colorado. She also has a home in Tucson, Arizona. Uschuk is often a featured writer at the Prague Summer Programs and was the 2011 John C. Hodges Visiting Writer at University of Tennessee, Knoxville. She’s working on a multi-genre book called, The Book of Healers Healing; An Odyssey Through Ovarian Cancer.